Happy Monday! I hope you had a great weekend! 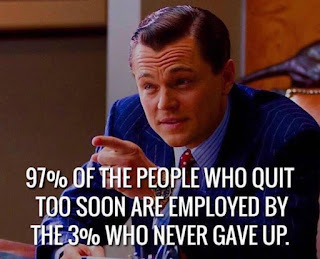 So I saw this quote/post this weekend that really inspired me and I wanted to share..
"97% of the people who quit too soon are employed by the 3% who never gave up." I spend a lot of time studying extremely successful people and one thing most have in common is that they have had to endure massive pain to achieve their success..... When everyone else would quit, they kept pushing no matter what! 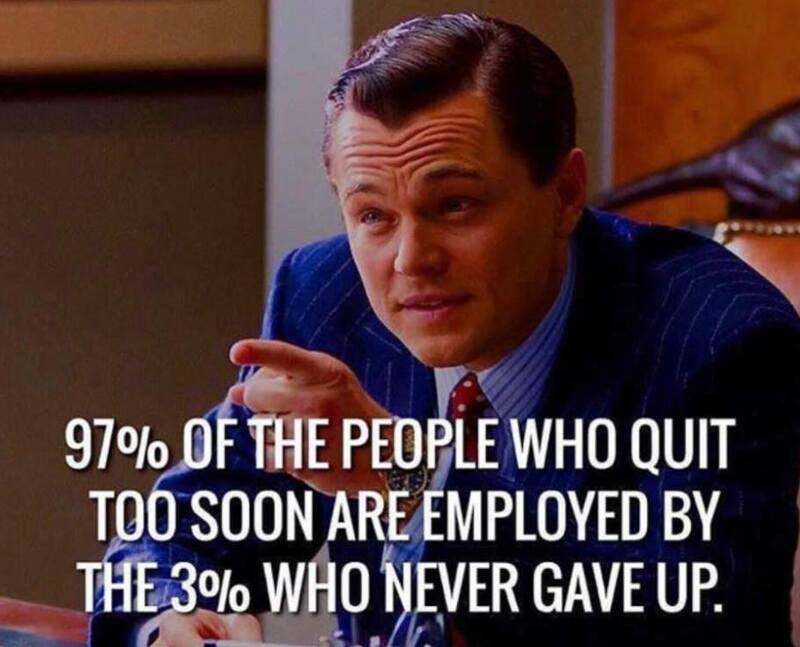 Never give up, never quit! Keep pushing and go create the life you know you truly want! "We're are here to put a dent in the universe. Otherwise why else be here?" Are you doing everything you know you are capable of? Are you having the largest impact on your life and others lives that you can? Life is brief, lets go make a difference!